Don’t be alarmed if you see a huge party UFO next time you visit a waterpark! 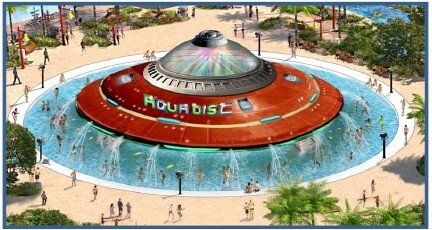 Arihant, a company based in India which is a prominent supplier for water park slides and attractions globally, introduces it’s latest attraction; The Aqua Disc. 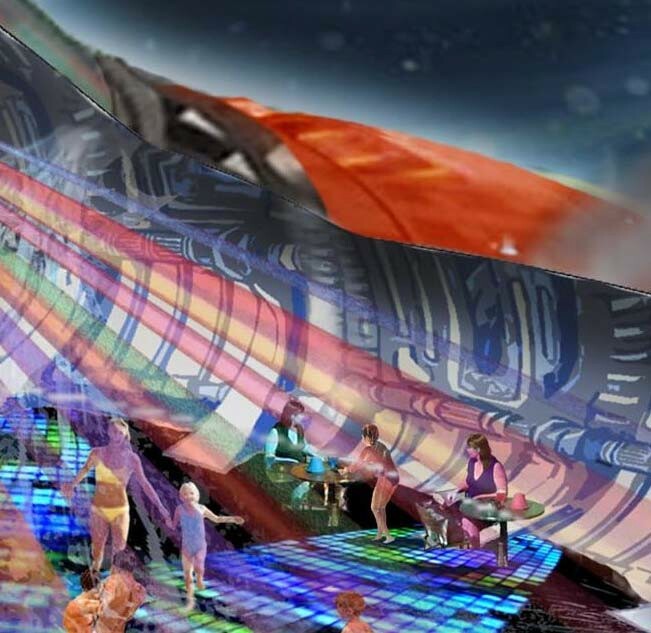 This space-age themed attraction will turn the corner of any waterpark into a instant social party! 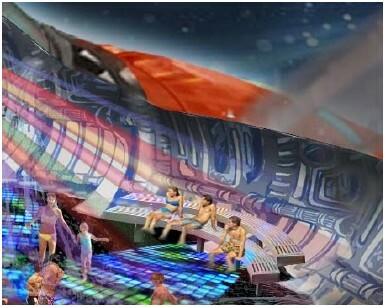 The 77ft diameter space disc consists of fascinating themed discos with illuminated dance floors, rain showers fully equipped with acoustics, fog effects, and Laser lighting for pulsating performances. The dance floor area made of a clear rubber can also be covered with rain showers from the ground and from the ceiling. A bar is optional depending on each park if they choose to serve alcohol or not. 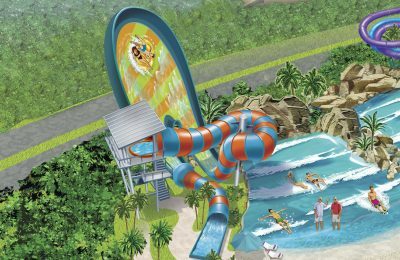 Mixing all these elements into one place will make this the ultimate waterpark hangout! 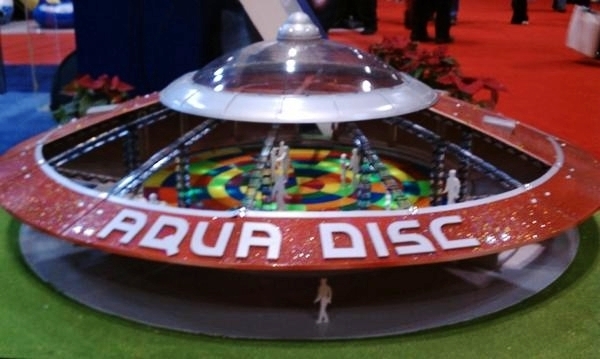 The Aqua Disc will also allow parks to extend their hours for added events and entertainment. Not only adding entertainment to the daily schedule, this attraction can be rented out to as many as 130 people for conferences or private parties. Aqua Disc is an attraction for families and loved ones looking for some real excitement with rain effects and music on the dance floor! Arihant has already built several similar products in Asia but has since refined all the features for a Europe and USA launch. Following the unveiling of the new concept at IAAPA in Orlando, the company says they already have several interested parks.